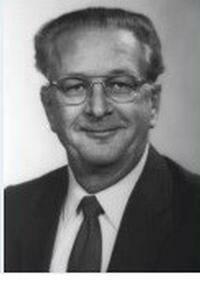 Henry L. “Hank” Morrow died July 15, 2006 of a massive stroke in his hometown of Huntersville, North Carolina. Mr. Morrow served as the Chief of Power Systems at the Army’s Aviation Applied Technology Directorate, AMRDEC, from 1971 until his retirement. In this role, he was responsible for planning, directing and controlling the Directorate’s 6.2 and 6.3 research and development programs on Army aircraft propulsion systems and drive trains. His notable achievements include the management of several contracts that led to full-scale development of the T700-GE700 engine that powers both the UH-60 Black Hawk and the AH-64 Apache, as well as technology development efforts that culminated in the T800 turboshaft engine, which powered the RAH-66 Comanche. Mr. Morrow was active in planning and demonstration phases of the Joint Turbine Advanced Gas Generator Program (JTAGG), Phases I, II and III.